​In this article, we short-list the top electric wheelchairs that are currently on the market. Our aim is to provide you with the essential information needed to decide which is the best electric wheelchair for your needs. With an electric wheelchair, your work has been made easier as all you need to do is twist the joystick and you are good to go. If you have been out shopping for a motorized wheelchair, you are likely astounded by the wide array of choices; there is practically a wheelchair to match any lifestyle. There are travel models, indoor models, all-terrain models and many more in between; this makes it a challenge for many to choose the best electric wheelchair. To choose the right wheelchair for you, you need to understand the features and the applications offered by different models and compare them to your needs. Though consumer electric wheelchair reviews can help you choose between different brands or models, they may not point out the specific features you need to be looking for or those that are ideal to your needs. Below, we have rounded up the top electric wheelchairs. KD Smart Chair is so called 'smart' thanks to its ease of maintenance, its easy-fold design and the fact that it is lightweight. You can take the wheelchair anywhere given its compactness. At only 50 pounds, this wheelchair is among the most portable and convenient wheelchairs in the market. It can fit in the trunk of any vehicle including cars, trucks, taxis, cruise ship, airplane and even trains. It is designed with a great turning radius giving it the ability to maneuver tight doorways and hallways. The powerful motor allows the wheelchair to climb steep hills and ramps; up to 12 degrees inclination. This wheelchair is offered with an eco-friendly battery that can last 9.3 miles when fully charged; this battery is among the first to feature lithium ion phosphate which gives it a longer life. According to the manufacturer, lithium ion phosphate batteries last up to 500 times the lifespan of conventional lithium-ion batteries. Most of the reviews on Amazon applaud this foldable electric wheelchair. This is thanks to its easy controller, its powerful motor, strong battery, lightweight but strong build and the competitive price. Nevertheless, some consumers have an issue with the footrests sticking out too far and the lack of a carry bag. According to the reviews, this wheelchair is recommended. The Invacare Pronto P31 comes with a sleek design, easy-to-use controllers, comfort and durability. It is part of the Pronto series of wheelchairs, a series of high quality electric wheelchairs from Invacare. You have a choice of two colors; black fog and blue mist. The length of this wheelchair arm can be adjusted from full-length to short-length and anything in between. They can also be flipped up or removed when need be. This gives the wheelchair the ability to handle different sizes of people. Its adjustable footboard is designed with a large angle, adjustable height and can be folded down. The 9-inch flat free-drive wheels are all-terrain and strong enough to last long. These are coupled with intelligent regenerative electromagnetic hand brakes to enhance the safety of the wheelchair. Invacare Pronto P31 is a compact power wheelchair, which can turn in tight spaces such as doorways. Its 50 amp controller has been designed to offer the best in convenience. 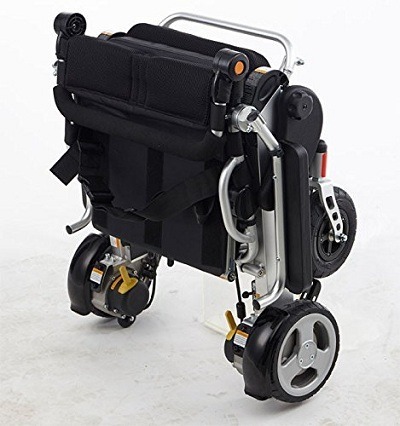 There are only a few issues raised by consumers on Amazon.com notably the battery life and the fact that this wheelchair sports a design that makes it ideal for indoor use only. 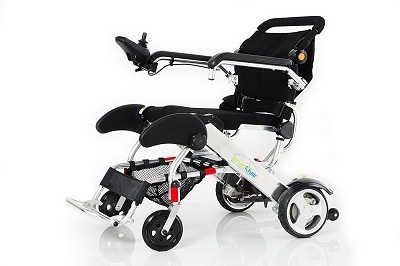 A high number of reviewers are happy with the performance of the wheelchair and would recommend it. Mobilecare Aluminum Alloy, like its name suggests, is a foldable chair made of aluminum alloy. This enhances its strength and makes the chair lightweight enough to be moved from one place to the next. It is offered with a luxurious appearance and operates easily thanks to the ergonomically designed joystick. The selling features of the wheelchair include an aluminum frame coated with paint, detachable and adjustable leg and arm rest, flip-up backrest that features an anti-back castor and its strong wheels. Being a new gen power wheelchair, it sports a programmable joystick that allows intelligent control. It bears rear driven wheels and its controller can be placed on either right or left. Seeing that this is an upgrade from an earlier model, it is lightweight weighing only 72.8 pounds. About 43.5 percent of the weight has been shredded by the use of aluminum alloy as the build material. 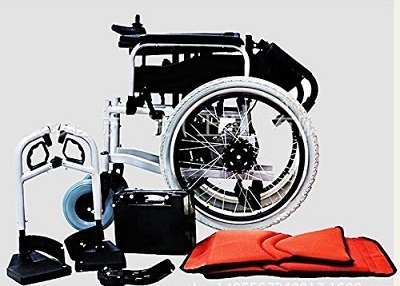 Mobilecare Aluminum Alloy wheelchair can act as a manual chair as well as an electric chair. This means that when battery goes out, you can push it to your destination; and it is light enough to allow that. This has been enhanced further by two braking systems; the manual and the electric. However, the manual mode can only be used when the battery runs out of power. The rubber wheels allow the wheelchair to carry up to 220 pounds and can hit a maximum speed of 6km/h. The 8-inch front wheel can rotate 360 degrees. Amazon.com reviewers recommend this electric wheelchair as most of them are happy with its performance, its appearance and its portability. The adjustability of the chair makes it ideal in many setting and for different individuals, a fact that has made it garner high positive reviews. There are only a few negative reviews with most citing poor customer support from manufacturer. Foldawheel PW-1000XL comes compact and light in weight enough to offer great portability and fit in trunks and back seats of most small cars. Though this wheelchair is compact and lightweight, it sports a strong build and a powerful motor to enhance its durability and its performance. Again, the manufacturer, Wheelchair88, is always adding new features to make the wheelchair to make it even better. At only 57 pounds, this unit is light enough and is ideal also for the elderly. It folds easy for storage and transport and no tools are required to set it up again. On folding, the wheelchair stands upright for easy storage. It is offered with soft pack polymer lithium ion batteries, which are relatively lighter, safer and last long. This battery allows you to travel up to 13km (8 miles) before recharging. Better yet, the manufacturer offers a second and third battery for longer travels. The battery is, however, 10 percent less efficient in cold days. 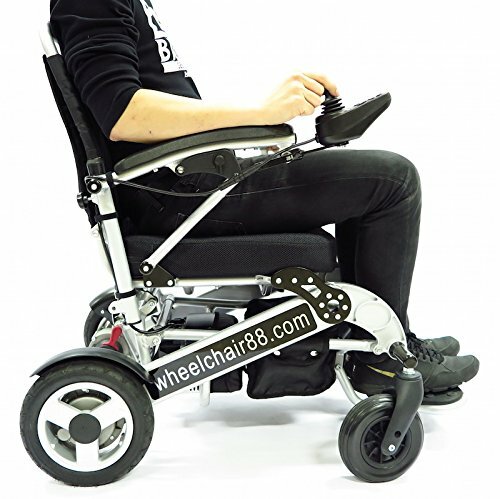 The brushless motors equipped on this wheelchair are more energy efficient, quiet and produce high torque, due to its solid rubberised rear tires (10"). It has with 4 spring suspensions for more comfort. Version 3 joystick controller is small and ergonomically built for ease of steering. Like the Mobilecare wheelchair reviewed above, this unit’s frame is forged from aluminum alloy. Its footrest is extendable giving the user enough legroom for comfort. Amazon.com reviews, except a few, are nothing but praise for this chair. 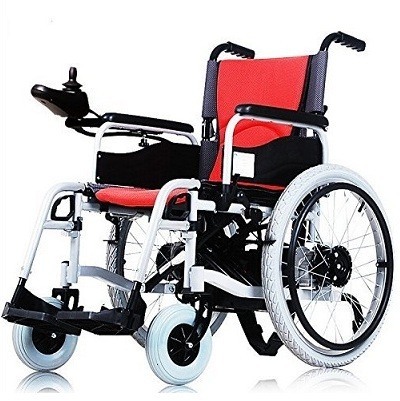 The consumers’ electric wheelchair reviews cite the great performance of the chair, the reasonable price, the lightweight and the strength of the battery and the overall construction. However, a couple of reviewers have observed that the chair is not as easy to fold and unfold as the videos from the manufacturer shows. Though lightweight, it takes an energetic person to fold it down and un-fold it. Most complaints are from the elderly. Most people in need of wheelchairs, especially the elderly, are considering electric wheelchairs as the best, as less physical exertion is required to get them rolling. You can easily go uphill and you do not need someone to push you thereby giving you freedom to go and do whatever you need. 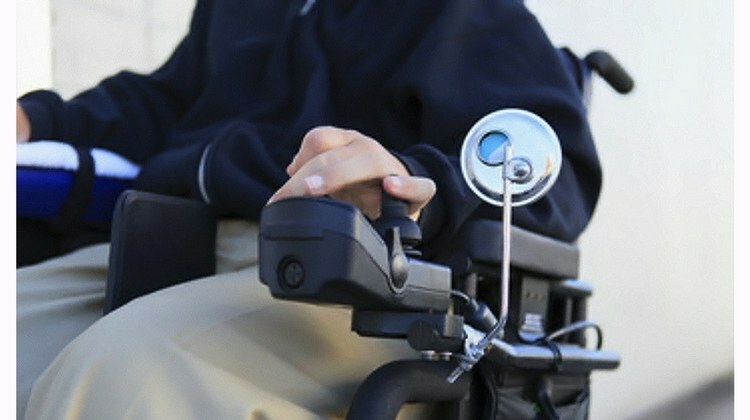 Nowadays, manufacturers are creating wheelchairs with a base detachable from the seating making them easy to transport. This is a tweak from the conventional manual wheelchair which has all parts fixed. There are three different wheelchair tire options offered by majority of manufacturers; air filled, foam filled or solid rubber. Pneumatic (air filled) tires offer smooth rides but require more maintenance while foam filled and solid tires require less maintenance but may deliver a bumpy ride. Your preferences should guide you here. An electric wheelchair’s controller is basically a keypad combined with a joystick; these control the speed and the direction of the chair. You will only need to twist the joystick to get the seat in motion and move it further from the neutral position to accelerate. The keypad helps you do other wheelchair adjustments. You will need a joystick that is easy on your hands, can be transferred or matches your dominant, and is small enough for comfort. The controller can be placed on different parts of the wheelchair based on your needs; control buttons can be at the headrest, footrest, near your chin and can even be controlled by speech. Most power wheelchairs are offered with wet cell or gel cell lithium ion rechargeable batteries. Though there are variations in each of these types of batteries, the only two factors that shoppers need to consider are charge-time and runtime. Charge time refers to how long it takes for a battery to fully charge while run time refers to how long it takes before the battery needs a recharge. Most wheelchairs will feature two batteries to drive for longer distances. Most wheelchairs will travel at a speed of between 4 and 5 miles per hour. However, there are modern wheelchairs that can travel as fast as 11.6 miles per hour. Speed will be determined by brand. Your choice will be determined by your needs. For an indoor wheelchair, you need an average speed of 4 miles or less per hour. You, however, may need a higher speed for an outdoor wheelchair. Most wheelchairs can travel between 20 and 25 miles. However, there are varied factors that determine the overall speed including the battery runtime, age of battery, weight of the rider, maximum speed driven, driver behavior, terrain and drive train efficiency. Wet cell batteries increase range significantly. This is an important aspect to consider when buying a wheelchair. These factors are not as important as the ones discussed above but still influence a buyer’s decision. You need a power wheelchair that is stylish, meets your budget and one covered by a warranty. Make sure each of these factors is favorable. We love KD Smart Chair electric wheelchair thanks to its great performance, weight and price balance, its long battery life, its easy controller and its long range. 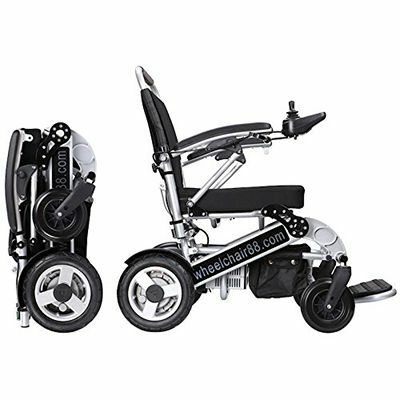 The overall design of this lightweight, portable electric wheelchair is geared towards enhancing comfort while giving the rider the control of the wheelchair for utmost performance. Again, this wheelchair has received lots of positive reviews from end users giving affirmation to intending buyers. The manufacturer is always ready to answer questions and attend the issues of buyers. This is a convenient electric wheelchair thanks to its foldable design.